I am so thrilled to be partnering with The French Ministry of Agriculture yet again! I love to be able to discover new products and share my experiences with you. All four of the wines are verified vegan, the butter, cheese and chocolate are obviously vegetarian, so this post has a little something for everyone. Come with me as I introduce you to the flavors of France! This is a family-run company from the prestigious Bordeaux region. 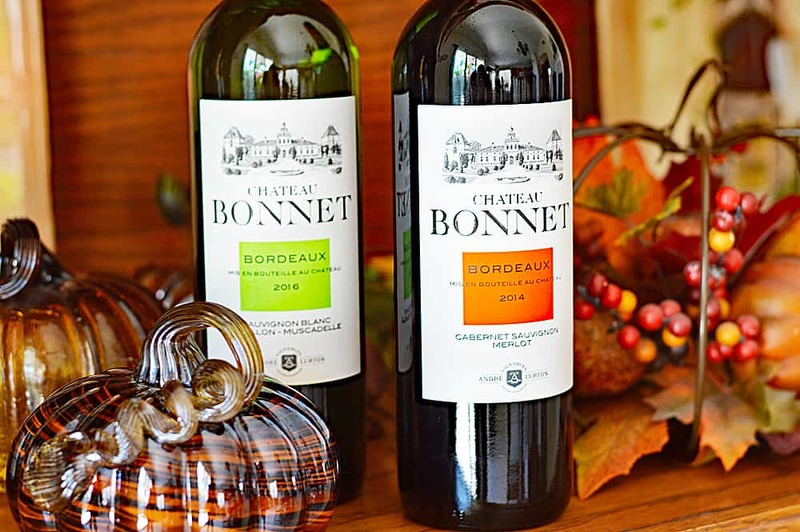 Today we have Château Bonnet White 2016 (which pairs well with cheese and starters) and Bonnet Red 2014 (which pairs well with fruits and vegetables). 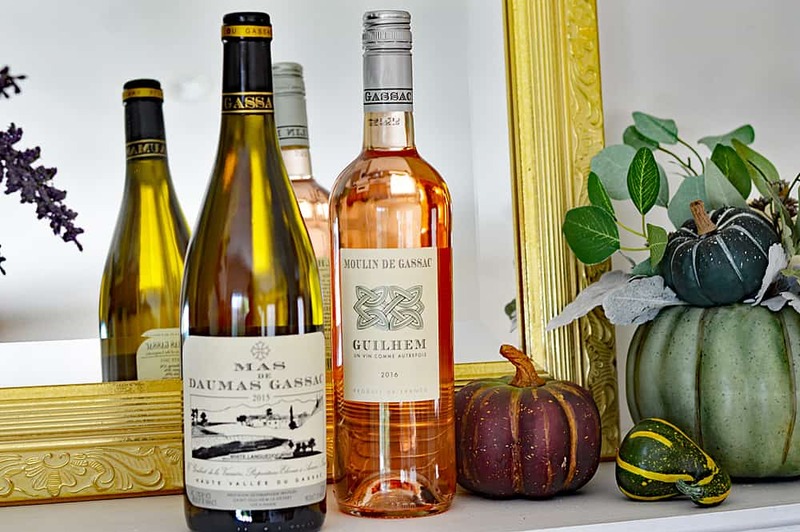 These bottles are the perfect fall orange and green and together, would make a great hostess gift! I LOVE Gassac wines. They are produced in the Languedoc region and are cultivated without any chemicals or pesticides. One thing I appreciate about this winery is that it remains a virgin land farmed with total respect of mother Nature to preserve its balance. The vineyards are hand harvested and stored in a thousand year old underground cellar! Plus, I have to say, I’ve had a few email exchanges with the folks at Mas de Daumas Gassac and they are just the nicest people! 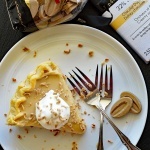 I used the Dulcey feves in my recipe, but they come in other shapes as well…including a baking bar. By the way, they aren’t just for baking. You can definitely enjoy these by themselves! Dulcey is what they call a 4th color of chocolate (after the White, Milk and Dark) with a pale blonde color, not too sweet flavor. Such a velvety texture. 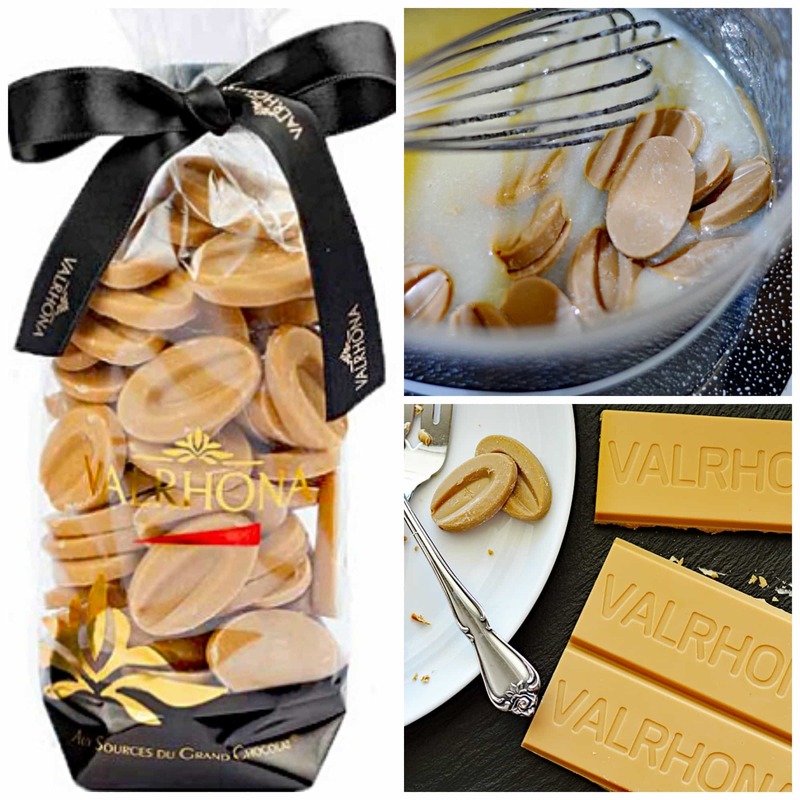 Since I was working with French products, I thought about what I could make using them. I decided to try a French Silk Pie. Using the feves, this stunning pale blond version was rich and quite delicious with a bit of whipped cream (I made coconut whipped cream). 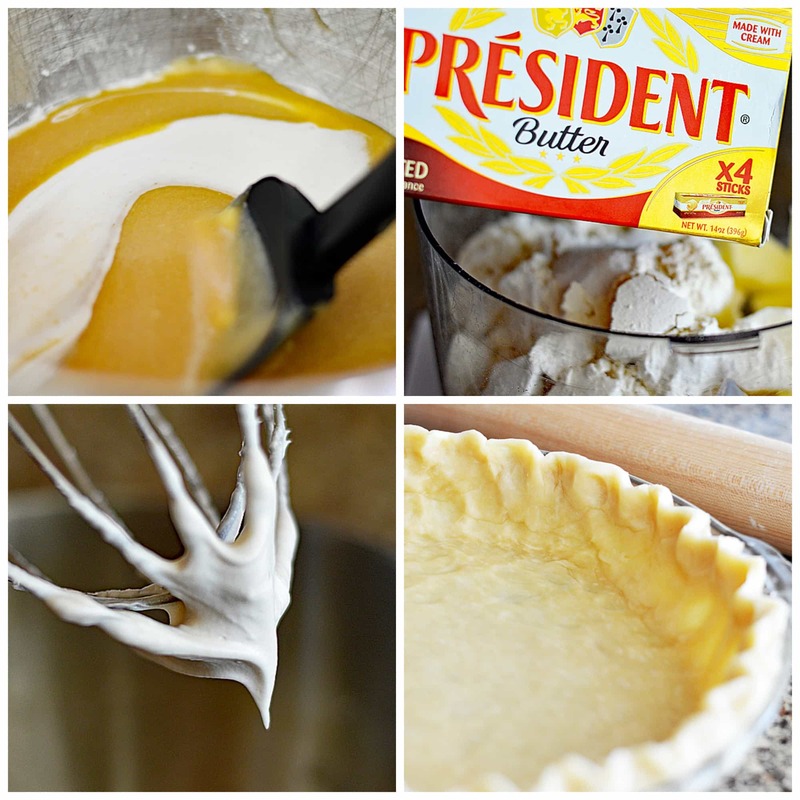 I made my own pie crust using the President Butter which is a favorite in my family. 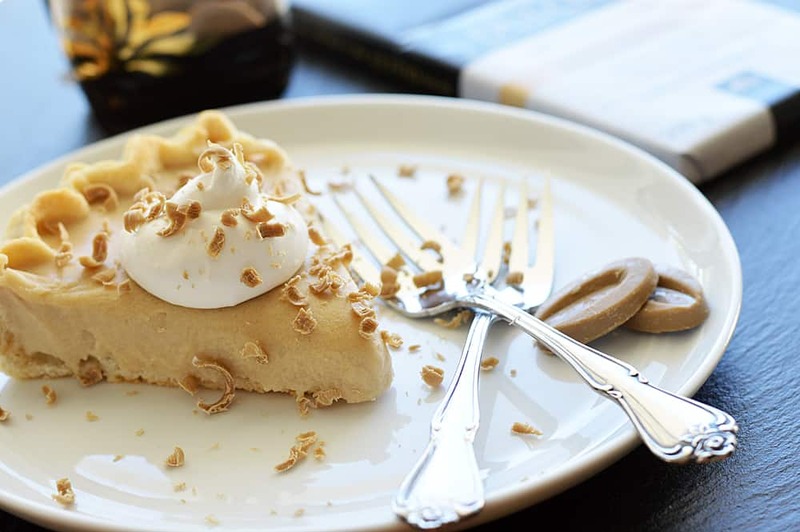 You can find the recipe for the crust (and the pie) below! I added a few shaved feves to garnish using a box grater. I also served each plate with a few whole feves on the side. I think it really brings everything together. My family devoured this cheese. I simply compiled a board full of fresh fruits and crackers for them to enjoy. It was a hit! While traditionally enjoyed with black cherry jam, it can also be enjoyed as an appetizer, a snack with fruit, with grilled vegetables or even in salads. 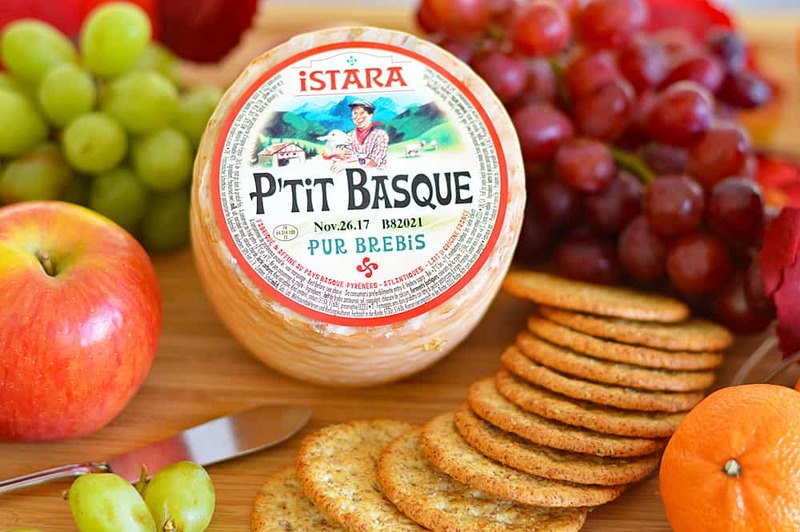 This cheese can be paired with a classic red or white wine. I sincerely hope you enjoyed our little journey through the food and wines of France. 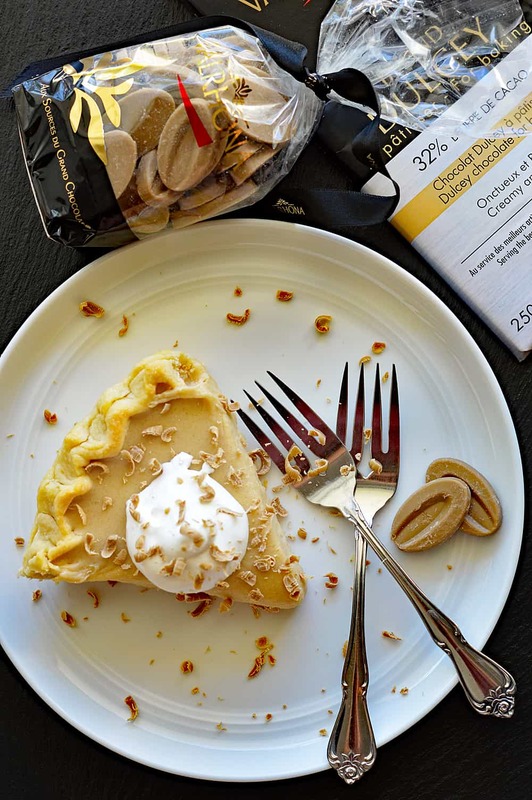 If you give the French Silk Pie a try, leave me a comment below and let me know what you thought! 2/3 c Canned Coconut Milk ----> SOLIDS only! Dice the cold margarine and place all of the crust ingredients (EXCEPT WATER) into the bowl of a food processor and pulse a few times, just until the pieces are the size of peas. With the machine running, pour the ice water down the feed tube (a tablespoon at a time) and pulse the machine until the dough begins to form a ball. On a floured surface, shape and roll into a ball. Wrap in plastic wrap, flatten and refrigerate for about 30 minutes. On the same floured surface, roll the chilled dough until it's slightly larger than your pie dish, crimp edges. Using pie weights (or just foil), blind bake at 450 degrees for about 4-5 minutes. Remove foil and bake until crust is golden brown. Cool on a wire rack. NOTE: The foil (or pie weights) keep the crust from puffing up and becoming misshapen. In a small saucepan, combine sugar and silken tofu that you have either whisked aggressively or beaten with a hand mixer until smooth beforehand. Cook over low heat, just until sugar dissolves. Remove from the heat. Stir in chocolate and vanilla until completely smooth. Cool slightly. In a small bowl, cream margarine. Add cooled chocolate mixture; beat on high speed for 5 minutes or until light and fluffy. Pour into crust. Chill for at least 6 hours before serving. Garnish with coconut whipped cream and shaved Valrhona Dulcey chocolate. Refrigerate until ready to enjoy!